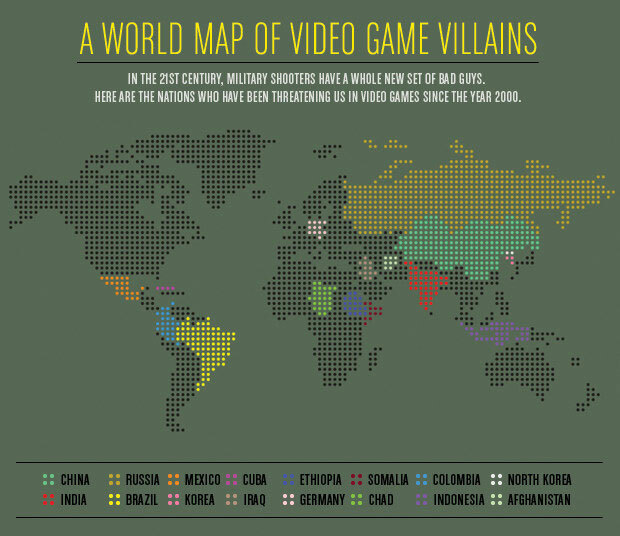 Hahha how did I know that The U.S. and Canada would be void of bad guys. Classic. Sooner or later there’s going to be a French Canadian villain, I just know it. That accent is villainous. What about the General from Modern Warfare 2? He was a Yankee. Hey, game designers, leave Red Dawn in the 80’s and think up your own ideas for once. Um, I hate to be “that guy” especially since I like your blog so much, but….well…. Mexico is part of North America. But, it is interesting how bad guys are either brown or have a thick slavic accent. Right… OOps ;) Thanks for pointing that out! I edited the post.